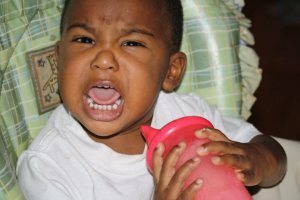 tantrums- is it really terrible twos?dealing w/ tantrums where spanking can’t work. Interesting. As I read about babies and how they grow, the one inevitable thing I always come along is the terrible twos. I knew I had to prepare myself, but I had sometime before I had to deal with that. So when my then 1 year 2 month old son started throwing tantrums, I was taken aback. I wondered if he was a genius, because they don’t start until they are 2 years right? Well we are now 1 year 5 months and still dealing with tantrums. When he started, I was tempted to go at it as my mother would, the ‘chapa’, spanking.